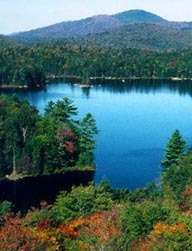 The Adirondack Park of New York State is a unique combination of public forest preserve protected by the State constitution and private land regulated by regional zoning laws. This combination of ownership models and their historical evolution has resulted in an application of land-use planning compatible with large-scale biodiversity protection. By implementing a network of 6 million acres of public and private lands across 105 towns and villages, this distinct bioregion has worked to protect the ecological integrity of the largest park in the contiguous United States through the integration of economy and ecology in the spirit of regional sustainable development. The Adirondack Park affords an opportunity to study the co-evolution of natural and human-made landscapes, the unique flora and fauna of a UN defined bioregion, and a case for sustainable development of national and international significance. This travel-study course will immerse a small group of students in a place-based study of Adirondack ecology, economy, and integrated management. Students will experience the Adirondacks through diverse views and expertise, including history, philosophy, politics, and natural science. Cultural history will be brought to life through the oral tradition of campfire stories, the exhibits of the Adirondack Museum, and an evening amongst the extravagance of the Adirondack Great Camp. Natural history will be told by walking the forest landscape and boating through lake country. Political and economic history will be experienced by meeting today’s policy-makers, environmental conservation managers, and local landowners. Jon Erickson is an ecological economist who has lived and worked in the Adirondack region for the past 15 years. He is a founding member and past president of the Adirondack Research Consortium, an organization created to foster and report regional research to inform policy-making and community planning in the region. In this role he has worked to bridge the gap between information producers and users, cross disciplinary boundaries in the holistic study of a region, and integrate local knowledge and priorities into a community-driven research process. Afternoon: Leave Burlington by van for Saranac Lake, NY. 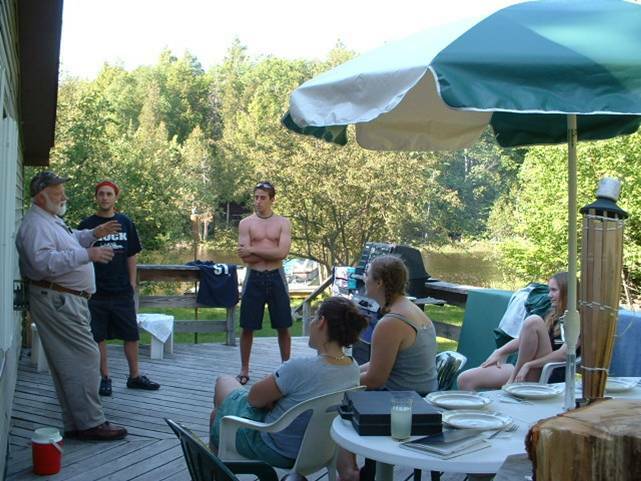 Our camp is located on the Saranac Lake chain of lakes, and accessible only by boat. This will be home base for much of the course, traveling to and from and throughout the Adirondack lake region by pontoon boat. Besides learning about the history, ecology, culture, and economy of this region, they'll be ample time for fishing, cliff diving, snorkeling, and relaxing! Morning: Visit the Six Nations Indian Museum, Onchiota, dedicated to preserving the culture and traditions of the Iroquois Confederacy, originally formed by the Nations of Mohawk, Oneida, Seneca, Onondaga, Cayuga and later the Tuscarora. 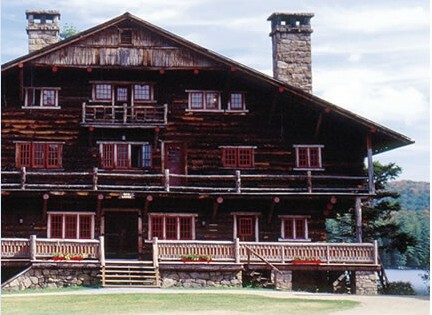 Afternoon: Tour the Adirondack Museum, Blue Mountain Lake. Called "the best of its kind in the world," by The New York Times, exhibits and programs tell the stories of how people have lived, worked, played and traveled in the Adirondack region since the early 1800s. Evening: Dinner and stay at Great Camp Sagamore, Raquette Lake. Morning: Walking tour of Great Camp Sagamore, a National Historic Landmark and one of the original W.W. Durant Great Camps, hallmark of the Gilded Age of the Adirondacks. Afternoon: Visit the Adirondack Park Visual Interpretative Center, Newcomb, NY, and view exhibits on natural history, a multi-media presentation on the Park, and explore intepretive trails about local ecology. Hike to fire tower on Goodnow Mountain for southern views of the Adirondack High Peaks region along an interpretive trail telling the story of the forces shaping Adirondack forests. Evening: Dinner and stay at the Huntington Lodge, Adirondack Ecological Center, SUNY College of Environmental Science and Forestry, Newcomb, NY. Morning: Tour the property of the Huntington Wildlife Forest, site of more than 70 independently funded research programs, representing a broad spectrum of research encompassing themes such as the social organization of deer, movement of soil ions, shelterwood silvicultural regimes, and assessing biodiversity across the Adirondack Park. Afternoon: Visit Paul Smiths College, College of the Adirondacks and home of the Joan Weill Adirondack Library. 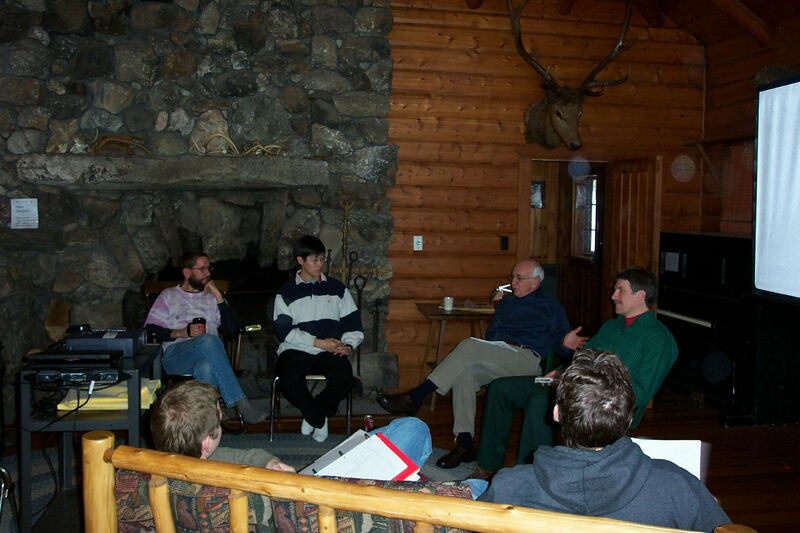 Visit with researchers at the Adirondack Watershed Institute. Explore local enterprise and community development with the Adirondack North Country Association and the Center for Advancement of Sustainable Tourism, Saranac Lake. Evening: Return to Camp Erickson, Kiwassa Lake. 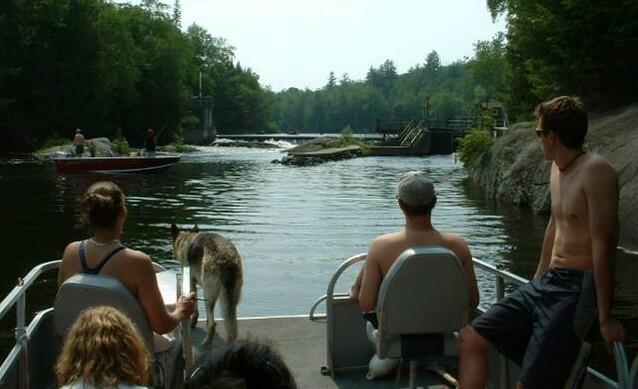 Morning and Afternoon: Explore Saranac Lake region by boat and foot. Meet with aquatic ecologists and lake managers. Evening: Dinner and campfire discussion with local artisans, business owners, and landowners at Camp. Morning: Meet with Adirondack Park Agency and NYS Department of Environmental Conservation staff. Afternoon: Meet with Olympic Regional Development Authority, Lake Placid.